except for Kerala. The offer will be valid from February 1 to April 30, against the previous deadline of January 31, 2019. 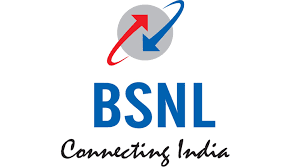 BSNL Bumper Offer can be availed on prepaid recharge offers of Rs 186, Rs 429, Rs 485, Rs 666 and Rs 999 as well as STVs of Rs 187, Rs 333, Rs 349, Rs 444 and Rs 448. Two long-term prepaid recharge plans of Rs 1,699 and Rs 2,099 will be eligible as well. Both BSNL’s Rs 1,699 and Rs 2,099 STVs come with a validity of 365 days. The Rs 1,699 plan offers 2GB data per day, while STV 2,099 offers 4GB data per day.